Fruits and veggies are an important part of everyone’s diet. These foods include dozens of important nutrients and have loads of dietary fiber. Diet high in fruits and vegetables might reduce the risk of cancer as well as other chronic diseases. So, what vegetables should be eaten? While all fruits and veggies offer benefits, certain varieties can provide people with many nutrients than the left. Now, you can discover the full list of 35 healthiest fruits and vegetables to eat and juice in the world here to boost your health naturally. First one in the list of healthiest fruits and vegetables to eat and juice is tomatoes. Though technically a fruit, tomatoes are usually served like a vegetable. This kind of food contain full of lycopene, these beautiful red orbs are well-known for their own cancer-fighting abilities. They are not only full of variety of vitamins, from vitamins A to K, but also keep the blood pressure in check and help eaters reduce the number of free radicals in their bodies. Avocados consist of rich amounts of fiber, vitamin E and healthy unsaturated fats. Normally, fats can help the human body absorb fat-soluble nutrients, which are vitamins E, D, and K. Besides, avocados also reduce the production of inflammatory chemicals in the human body. As a result, avocados might be particularly beneficial if people have an inflammatory condition, like tendinitis, arthritis, or heart disease. Check out ways to cure arthritis at home and tips to prevent heart disease naturally. There are not many foods, which have possibility to fight off disease like broccoli. This cruciferous vegetable is loaded with many antioxidants, which can decrease the risk of stomach, lung, or rectal cancers. As broccoli is high in beta-carotene, folate, and vitamin C, it is so great at promoting the immunity to cold and flu. Carrots are packed with skin, eye, and hair enriching nutrients. They are also considered as the richest vegetable source of several important antioxidants, such as vitamin A. As they are high in vitamin C, this oranges-wonder can protect your own cardiovascular system from decline and damage. With this food, you can get the most useful cancer-fighting antioxidants by eating it raw. It is said that cooking onions at the high heat will reduce significantly the benefits of phytochemicals, which protect against lung and prostate cancer. So, you had better try combining chopped raw onions with avocado, tomatoes, or jalapeno peppers in order to create a blood sugar-friendly chip dip. Consider finishing that with a splash of lime juice. Kale is actually a super food, The leafy green has one of the rich antioxidant contents of any vegetable. It is also high in fiber, calcium, iron, and vitamins A, C, and K, and low in calories. These nutrients create a great anti-inflammatory food as well as a good solution for cardiovascular health. In other words, it can prevent some types of cancers naturally. If you want to get a complete guide of healthiest foods on Earth, and how to use them properly, you should read The World's Healthiest Foods book. Spinach includes high levels of zeaxanthin and lutein, two immune-enhancing antioxidants, which are important for eye health. In addition, many studies pointed out that among those cancer-defeating foods, spinach seems to be the most effective one. However, you need to know that when this food is cooked, you will get more nutrients than being eaten raw. Spinach is also necessary in digestion, building bones, and skin care. Though it is not veggies, people still have a good reason for including them anyway. They are one the few plant foods, which include vitamin D, which can keep the bones strong and might protect eaters from diseases like cancer and diabetes. As mushrooms make vitamin D when exposed to sunlight, some farmers treat them with UV light to manufacture mushrooms, which contain a large amount of day’s worth of D. In order to make use of mushrooms properly you can chop them and sauté, mix them with ground beef to lighten up burgers, meatloaf, and casseroles. Or, you can keep them whole and sauté with the olive oil, garlic and lemon juice until brown. 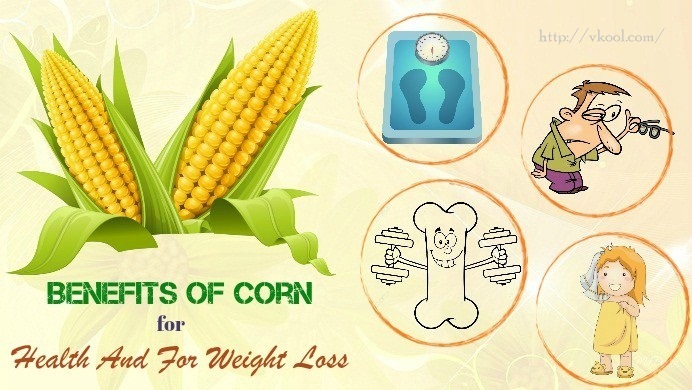 Corn is packed with antioxidants, fiber, and B vitamins. It is also a good source of carotenoids like lutein that protect the human eye from macular degeneration. 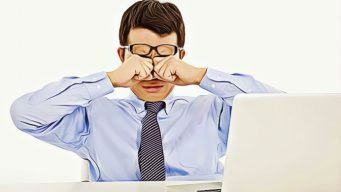 This problem is one of the leading causes of blindness in adults. You also can add corn kernels to the salad, black bean salsa, soup, and sauté them with the finely chopped jalapeno, cilantro, and a sprinkle of cotija cheese for some Mexican esquites. You could also enjoy the whole ear. Skip the butter. Squash, particularly summer squash is a good source of some anti-inflammatory nutrients such as beta-carotene, and vitamin C, can treat dozens of conditions such as rheumatoid arthritis and osteoarthritis. This kind of food is rich in magnesium, potassium, and fiber. Sweet potato is a type of root veggies, which have a lot of anti-cancer nutrients, containing vitamin A, C and manganese. These foods are also considered as a great source of iron and fiber; therefore, they not only give you energy, but also regulate the digestive system as well. No matter you prefer orange, red, or yellow, bell peppers are loaded with a variety of nutrients such as lycopene and folic acid. Recent studies indicated that people should dig into a pepper every day in order to lower the risk of suffering from lung, bladder, colon, and pancreatic cancers. Due to the high content of antioxidants like nasunin, which is a compound protecting the brain cells from damage, eggplants can be a one of the healthiest vegetables on the planet. Because eggplants are packed with potassium and fiber, many experts believe that they might decrease the risk of dementia as well as stroke. The next fruit in the list of healthiest fruits and vegetables I would like to introduce today is raspberries. This type of fruit is low in calories, carbohydrates and sugar. Also, they are one of the richest sources of fiber among all fruits. Raspberries, in other words, can help people satisfy their sweet tooth while filling them up. Additionally, raspberries are also able to prevent cancer, according to some recent studies. Just an average orange can supply people with 70 milligrams of vitamin C, or approximately 70-93 percent of the daily requirement. Vitamin C found in oranges has antioxidant abilities that might work together with other nutrients for enhancing immunity. Similar to its cruciferous cousins, cabbage and broccoli, cauliflower is rich in glucosinolates, the chemicals shown to reduce the potential risk of different kinds of cancer. Moreover, experts claimed that women, who regularly eat this vegetable might have lower risk of rheumatoid arthritis. Brussels sprouts are tiny cabbages, which are one of the best vegetables packed with fiber, and vitamins and minerals. They include vitamin A, C, E and K as well as necessary omega-3 fatty acids. The fiber content can help people lower cholesterol and assist them in digestion. Sprouts are high in antioxidants named flavonoids that have been shown to lower the risk of cancer and heart disease. Especially, the high levels of glucobrassicin can combat inflammation and boost cardio vascular health as well. Besides, the presence of vitamin C can be an immune system booster. These undervalued greens are a great source of vitamins A, C, and K, which are often deficient in many people’s diet. Additionally, this plant includes plant chemicals, which fight macular degeneration and cataracts. Furthermore, Swiss chard is a big source of antioxidants, which can prevent heart disease. You can take advantage of this plant by chopping and sautéing it in a skillet with olive oil and lemon juice until the leaves are wilted. Or, you a can julienne the leaves before stirring thme into stews, soups, and sauces. Pickled or roasted, this root vegetable consists of high levels of antioxidants, which beat off cancer, and lutein that protects the human eyes. When processing this vegetable, do not throw out the leaves. Beet greens are considered as the most nutritious component of the plant and could be cooked like any other dark leafy greens. You can refer some tasty and easy recipes to create healthy meals here. Apart from being high in eye-protecting phytonutrients, green beans can help people strengthen their bones, thanks to their high concentration of silicon. You can use them in a classic Nicoise salad processed with tuna and potatoes, or simply sauté them with sliced garlic, tomatoes, cherry and red peppers flakes for the spicy low-calories side. Peaches are rich in calcium, B vitamins, antioxidants, and potassium. You can add peaches to cottage cheese for a low-carb, high-protein post-workout meal, or quickly whip up a simple yet healthy dessert. Bake one with the cinnamon and one touch of agave before topping it with low-fat frozen yogurt. Apple is considered a super fruit. Apple peel contains a great source of fiber. In addition, it is high in quercetin that is loaded with anti-inflammatory and antihistamine properties, so this antioxidant helps prevent heart disease and allergic reactions. According to a study from London, people who ate 5 or more than 5 apples per week had better lung health than those who did not. Banana is packed with potassium that helps lower blood pressure lelvels, and is a healthy carb to fill you up and boost metabolism. According to USDA, blackberry is arranged in the top of highest antioxidant properties. This fruit is rich in polyphenols like antioxidants present in green tea. It helps prevent cancers, cardiovascular disease and osteoporosis. Blueberry is the best fruit for brain and memory. Studies link flavonoid levels in this fruit with a healthy memory. New researches indicated that a regular consumption of blueberries can help you improve your aging and brain functioning. According to a research on women, the participants consumed a high intake of blueberries and the results shown that they delayed cognitive aging by a period of 2.5 years. Blueberry is also high in manganese, and this nutrient aids in boosting metabolism, which helps you energized and slim. Cantaloupe is a powerful weapon for younger-looking skin. It works with the help of vitamin A that increases cell production and function as a natural exfoliator. Cherries are rich in anthocyanin, an antioxidant that helps ease inflammation and reduce cholesterol and triglyceride levels. In a study from the University of Michigan, the researchers shown that rats that ate cherries reduced their blood vessel inflammation by 50%, gained less weight and reduced cholesterol levels. This fruit is especially good for women. 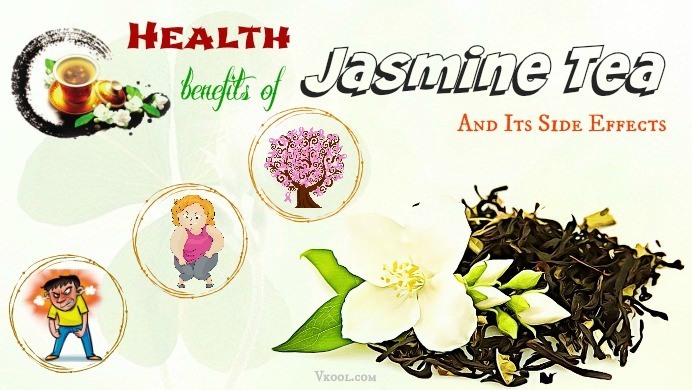 It helps prevent urinary tract infections, and fight off ovarian cancer. According to a research on cranberries in the Rutgers University, cranberries increases effectiveness of chemotherapy medicines, which are used to cure ovarian cancer. This fruits is also proven to slow down the growth of other cancer cells and drinking a glass of cranberry juice daily can help raise HDL by 10%. Dragon fruit contains essential oleic acid and fatty acids that aids in raising good cholesterol. So, this fruit is good for people with high cholesterol levels. Grape contains resveratrol, an antioxidant helps improve heart function. Moreover, grape seed extract is found to cure Alzheimer’s disease. Malic acid in grape helps break down discolorations and stains on teeth, according to a research from New York University. Kiwi is proven to cure IBS. Consume 2 kiwis regularly per day within 6 weeks to get the reduction of IBS symptoms. In addition, kiwi peel is rich in fiber and complex carbohydrates, so it is good to consume, too! Papaya is a tropical fruit that is a good source of vitamin C, vitamin E, vitamin A and antioxidants to conquer colon caner and heart disease. Yes! Actually, pumpkin is a fruit! This nutrient is rich in beta-carotene and it combines with potassium to control high blood pressure. Watermelon is loaded with lycopene, vitamins A and vitamin C that are good for your eye and skin health. This fruit is also good to eat or juice in the summer as the way to cool down the body temperature. Pineapple contains bromelain, which is considered a digestive enzyme to break down foods and reduce bloating. After covering the full list of healthiest fruits and vegetables, will you make use of them instantly? Add them into your daily diet to improve your health naturally and safely. If you have any idea regarding the topic of healthiest fruits and vegetables, feel free to leave your comments at the end of this post. We will reply all soon! 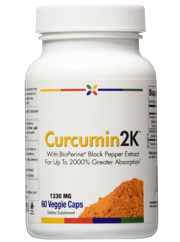 Curcumin2K Review (UPDATED 2019) – Is It Safe? How Much Pretein Book Review – Does Brad’s Book Help You? Trim Pregnancy Review – Is Alicia Pennington’s Book Useful? Fatty Liver Freedom Cookbook Review – Is Debra’s Guide Useful? Get Rid Of My Gut Diet Review – Does Jayson Hunter’s Diet Work? Master Cleanse Secrets Pdf Book Review – Is It Reliable?